For the fourth time this season, and the second time in just six days, the Vancouver Canucks take on the Edmonton Oilers. The Canucks won all three previous games (6-2, 4-0 and most recently, 2-1). After Sunday’s 5-4 overtime win for the Canucks, they’re looking to keep the momentum going and start a new winning steak. However, the Oilers are looking to start a new winning streak of their own. On Sunday, the Oilers ended a six-game winless streak as they beat the Nashville Predators 5-1. As we all know, the Vancouver Canucks have experienced trouble scoring goals lately, but they sure didn’t have any problem on Sunday. Kevin Bieksa scored twice, including the game winner in overtime, to lift the Canucks to a 5-4 victory over the Coyotes. Chris Higgins helped lift the Canucks to a 5-4 victory with one goal and two assist. He now has two goals and two assist in the past two games. For the Oilers, Jordan Eberle extended his point streak to five games on Sunday (four goals, two assist). Henrik Sedin (ribs) is still day-to-day. 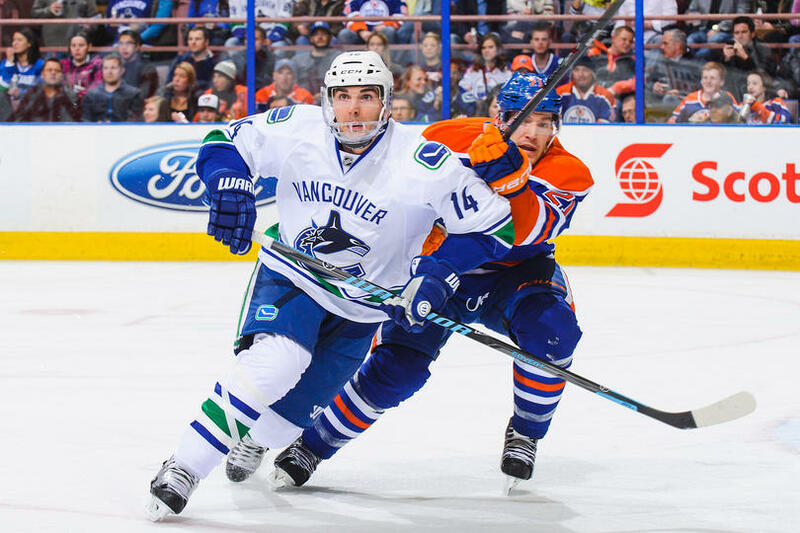 Forward Mike Santorelli (shoulder) and defenseman Andrew Alberts (concussion) are on injured reserve. Jordan Schroeder, who has missed most of the season with an ankle injury, will not play tonight, but did start his conditioning assignment with the Utica Comets. The Oilers are likely without defensemen Philip Larsen (illness) Andrew Ference (upper body), along with forward Ales Hemsky (ankle).